Dogs are without a question the most loyal pets around that don't leave their owners no matter what. Unfortunately, that type of unconditional love is a one-way street in some cases, and there are dog owners out there that give up their pups when things get hard. 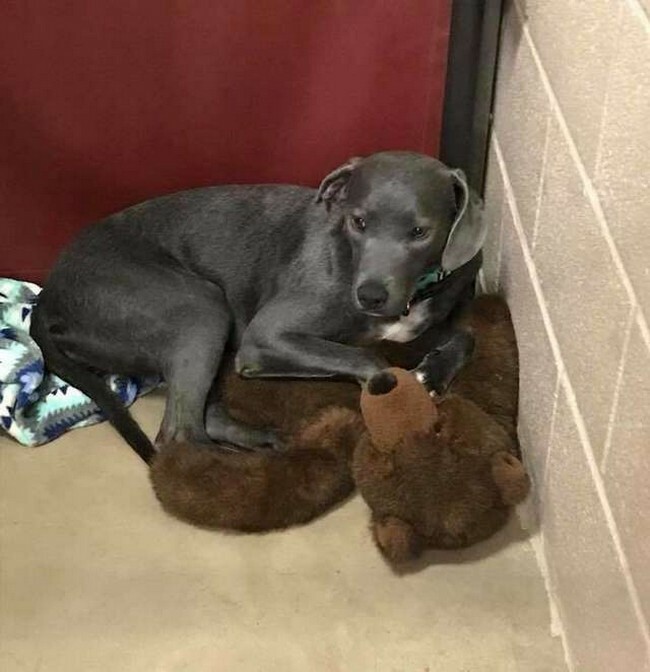 A one-year-old Blue Lacy dog named Ellie recently became one of those unfortunate dogs when her family gave her up after they could not afford to keep her anymore. 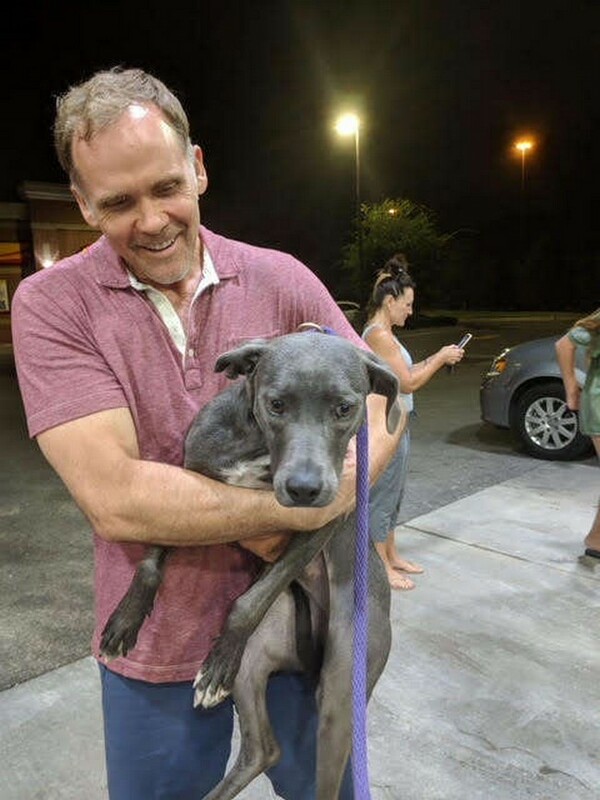 According to Jennifer Jessup, an independent dog rescuer based in New York City, the family "had gone to the trouble of getting all her shots, her spay surgery and microchip … [then] they just dumped her at the closest shelter after having her for months,”. Ellis, who was used to being around her family, was terrified when she got to the shelter, so she clung to the one thing she had left – a giant stuffed Teddy bear. Luckily, the sweet little dog didn't have to stay at the shelter for very long after Jessup’s brother adopted her. 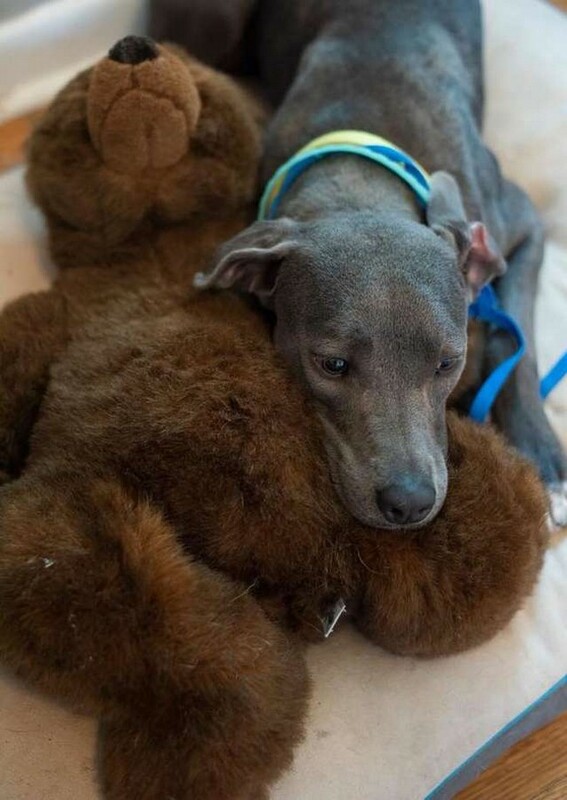 As luck would have it, Jessup’s brother was looking for a Blue Lacy, so it was a match made in heaven for him and Ellie. 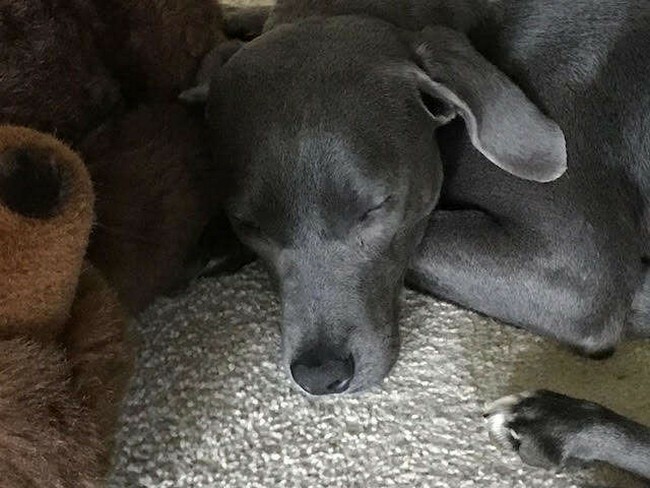 After spending time with a foster family in Texas, Ellie was transported to Jessup’s house in Florida, and while she is still traumatized, the beloved Blue Lacy is adjusting to her new owner and feeling better with passing every day.